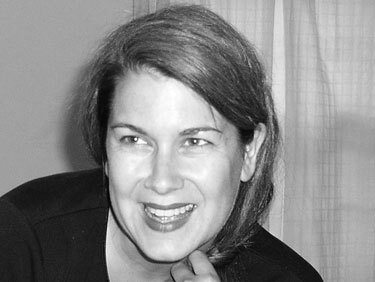 Lydia Millet is the author of six novels, most recently How the Dead Dream (2008), which was named a best book of the year by the Los Angeles Times. Her new collection of short stories is called Love in Infant Monkeys (2009). Her 2002 novel My Happy Life won the PEN-USA Award for Fiction, and Oh Pure and Radiant Heart (2005) was shortlisted for Britain’s Arthur C. Clarke Prize. Millet lives in the Arizona desert with her husband and two small children, where she works as a writer and editor for a group that protects endangered species. James Warner: Why do you think so many of the characters in your fiction are actual celebrities, historical personages, and so on? Lydia Millet: It so happens my favorite fictions, both my own and others’, happen most often to be those in which no historical persons appear. In the main, readers seem to feel differently, at least to judge by reviews and sales; they often prefer books with character name recognition. But that’s not why I sometimes roll the celebrity way. The truth is I’m fascinated by the details where different circles of culture overlap and by the manifold ways in which we now treat the profane as the sacred and vice versa. For me celebrity writing is also writing about the devastating loss of the divine. JW: That comes across strongly in Love in Infant Monkeys. Each story in the collection focuses on the relationship between a famous person and an animal, or animals–the elephant Thomas Edison electrocuted, the dove Nikola Tesla loved, the swamp rabbit that attacked Jimmy Carter. By situating a famous person and an animal together in a story, you unlock some very powerful emotions. Perhaps celebrity has to do with the profane that our society treats as the sacred, animals with the sacred that we treat as the profane? LM: Yes, yes. You’re exactly right. Animals, though they inspire our passions from a very young age–our age, not theirs, that is–are also the objects of such dismissal, of such condescension, because, I think, we can’t assimilate them in some ways into our view of ourselves as the center of the world. Their forms are miraculous and endlessly lovely and astounding, but we can’t stand to acknowledge our awe and our longing in the face of all that diversity, in the face of that great brilliance of evolution or design or accident, that gloriousness of creation. We can’t stand to because then we would have to acknowledge our debt to them and our duty. JW: In your fiction, the first step towards attaining respect for nature is often an experience of loss. LM: Loss is a great clarifier. JW: Are there any other historical animal encounters you’ve considered making into stories, for inclusion in this collection or in future collections? LM: I started a story about Leona Helmsley and her dog Trouble, to whom she left I believe $12 million in her will (since reduced to a paltry $2 mil by the courts), but it was starting to seem like fish in a barrel, so I stopped. I think I’m finished with the celebrity set for the moment. JW: Many of the stories have elements of parable, for instance the one about Noam Chomsky trying to dispose responsibly of a used gerbil habitat at the Wellfleet town dump. The harried mother in that story – is she right to suppose that mothers understand better than fathers what it means to be an animal? LM: May I say, incidentally, that that was based on actual encounter my real husband had with Noam Chomsky in that dump on Cape Cod, and that Chomsky was, in fact, disposing of a gerbil cage? But the rest is made up. All the stories in this book are based on a nonfiction factoid or relationship. Re: mothers and fathers, it’s a generalization I’d never make, personally. Although there’s not much that’s more animalistic, as we roughly and perhaps foolishly define it in the pop idiom, than giving birth. But even to say that is to set up a false division between us and them–us animals and other animals. I do think we probably pay less attention than we should to the different levels of our taxonomy: who’s to say it’s more important that we’re human than that we’re mammals, for instance? Mammal is a fascinating category in and of itself and probably worth more of our philosophy than we give it. JW: Do you want to expound on that? LM: Sure. We spend almost our entire philosophical, even theological brains thinking about our humanness and how wild and crazy it is. That’s partly because we need to be special and we’ve chosen humanness as the site of All Specialness. Humanness is Specialtown. It’s Special City. Hell, it’s the Nation of Special. Humanness, we’ve decided, is the most specialest thing in the whole wide world! We have some reasons for that, and some of them are interesting and have validity and others are specious. It seems clear to me that other aspects of us are also compelling, however. And one of them is mammal. But that’s only one–hey, throw vertebrate in there. Our phylum, chordata. Hell, throw in tetrapod. That’s our superclass. How cool is that, that we’re tetrapods? Superclass tetrapod. I mean it’s cool. How about throw in dry-nosed primate? That’s our suborder. I like that dry-nosed primate is my suborder. I, personally, revel in being a dry-nosed primate. I don’t know, some people like sports teams. I’ve never been into, like, my team. But my superclass, though…I could go there. In my view, there’s far too little fiction out there focusing on the fact that we’re in a class with prosimian tarsiers, plus all the rest of the true simians. Far too little focusing on the fact that we’re multicellular. I mean that’s a big deal, being multicellular. Huge. Technically, a lot bigger deal than being human. Not to put too fine a point on it, but when it comes to being human, we’re mental about it. We’re completely fixated. JW: The character T., in your novel How the Dead Dream, begins as Homo economicus but through a series of misfortunes undergoes an extreme attitudinal change: understanding what it means to be an animal, acknowledging his debt to them. What would you say was the hardest part of writing that book? LM: The linearity of his transformation, which you mention. It mirrors, to a degree, the transformation of my own sensibilities–I was never a moneymaker but I was very very urban–as I grew past youth. But precisely for that reason, and the simplicity of the arc, which risked coming off as pedantic, it was a tricky negotiation. JW: It works very effectively in the novel–linearity in fiction can be extremely powerful, I guess. So what happened to make you stop being so urban? LM: I drove over Gates Pass one day, back in 1990, and saw the valley spread out beneath. It was the most beautiful thing I’d ever seen. After that it took me about eight years to get here–years I spent in L.A. and New York mostly–but I’ve been here and loving the desert ever since. Gates Pass, I should say, is a mountain pass between Tucson and the Avra and Altar valleys to the west of it, surrounded by mountain ranges. The desert you see is the Sonoran one. But since that moment I’ve loved Alaska, Wyoming, the Yukon, on and on. I’ve loved wild landscapes almost everywhere they are. JW: Have you ever tried writing from an animal’s point of view? JW: Do you have a favorite endangered species ringtone? LM: Ha! Orca, maybe. It sounds eerie and tends to dominate a room. JW: You’ve written that fiction should not just articulate a view of the "microsocial" self, the side of us that’s caught up in social interactions, but also "a view of the macrosocial self, the self in relation to the larger mysteries of the world." What are some grounds for optimism about the future of macrosocial fiction? LM: I think there’s some beautiful new writing around that’s macrosocial, whether explicitly or because the language is implicitly philosophical and existential. Just this year a quiet but gorgeous first novel came out, Tinkers by Paul Harding, which contains that kind of gesture, and there are many contemporary American writers who are macrosocial–Lynne Tillman, Julie Hecht on the funny side, to name but two–and of course science fiction fantasy genre and YA stuff often plainly grapples with morality and the problem of the future and I love that it does that. What I also think, though, is that the literary stuff that’s ambitious like that isn’t published, and therefore read, as loudly and boldly as it should be. Posted in Author Interviews and tagged Lydia Millet. Bookmark the permalink. Trackbacks are closed, but you can post a comment.